The Nebraska State Climate Office and Nebraska Extension will deliver a fourth national climate assessment during a summit scheduled for March 21. The one-day information session on climate and climate change will be led by Shulski; Tyler Williams, Nebraska Extension climatologist; and partners across the university and state. Registration is available online. 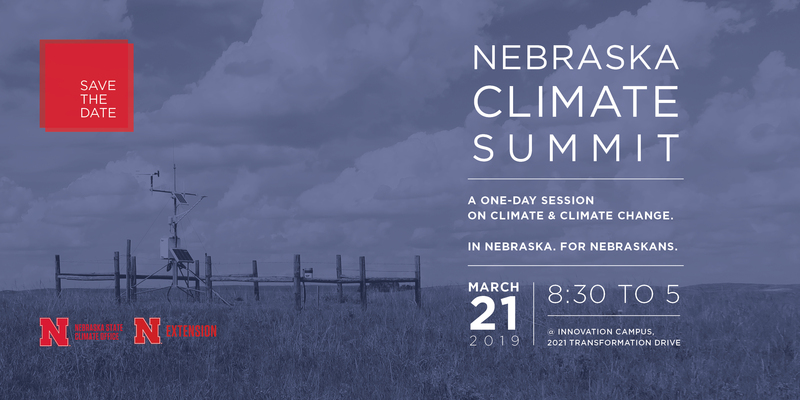 The Nebraska Climate Summit is set for March 21 at Nebraska Innovation Campus. Highlights of the summit include a panel discussion; climate projections and impacts; future of climate and expected affects for Nebraskans; weather and climate monitoring; climate scenario planning by Nebraska Extension; agricultural impacts; climate and health; and details on how climate change will affect municipalities. The event runs from 8:30 a.m. to 5 p.m., with a break from noon to 1 p.m. for lunch. Registration will be capped at 350 due to space limitations.